Register your products today to enjoy hassle-free warranty. Become a part of our Thermos’s family today. 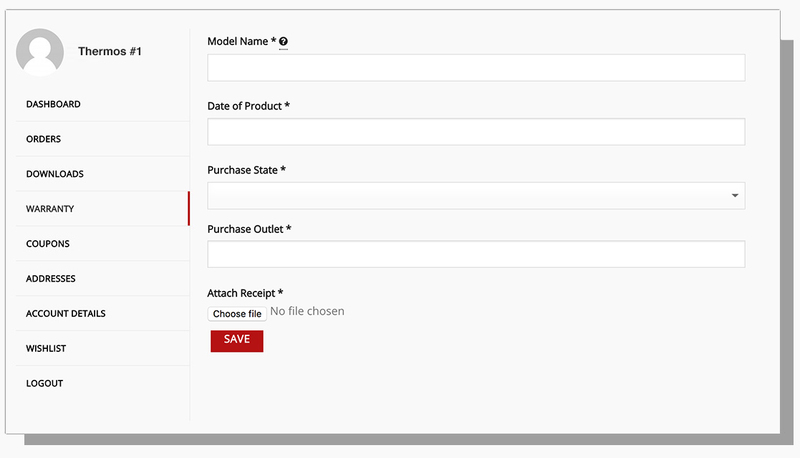 Upload your products with receipt and product model name. Submit your e-warranty form to Thermos Online Warranty Application for approval. 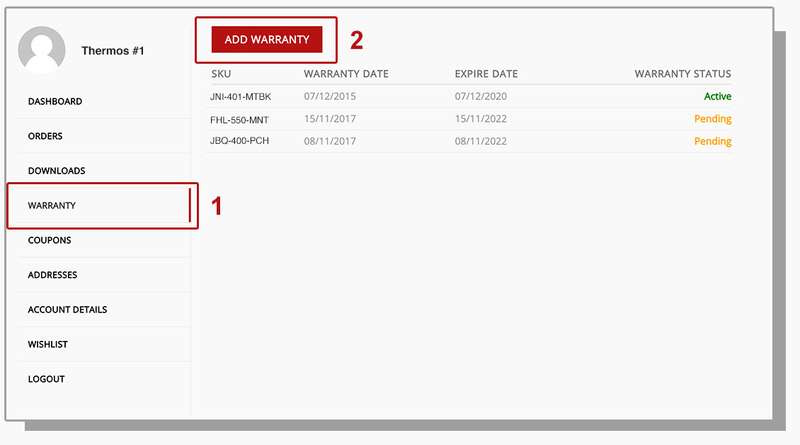 2) Check “Warranty” tab and click “Add Warranty” Button. 3) Fill the registration form. What should I do if I’m unsure of my product model name? Product Model Name can be found at the bottom of the product. What if I purchase before 1 st December 2017? Yes, you are able to register as a record. Warranty will be based on your receipt date. What if I’m unable to upload receipt? If still unable to upload after conversion, kindly email to customerservice@thermos.com.my, with your receipt and let us know the issue encountered while uploading. We will solve it as soon as possible. 1. Applicable only for finished products. Spare part and accessories not included. 3. The redemption privileges and conditions may be amended or withdrawn without prior notice at the sole discretion of NS Thermo (Malaysia) Sdn Bhd.